/R.85 updates on daily basis with different formats (xml, pdf, word). They need to keep track of this information in a structured way and accessible through a user-friendly interface. Moreover, they need to detect the changes in the new document, inform the involved department for implementation on network side and follow-up on the completion of this configuration. This activity requires several resources if done manually and keeps a high risk of human error with negative revenue impact. and Non-RAEX) and building a centralized and comprehensive database with the updated data of all roaming partners, in addition to automated change detection and notification. 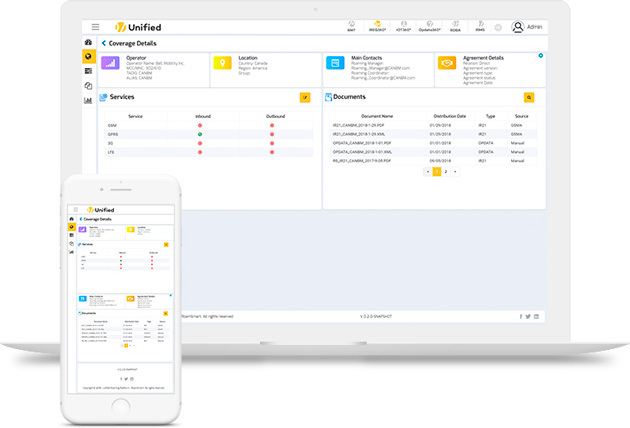 Dashboard for easy follow-up on coverage status and document availability. Automatic upload of IR.21/IR.85 updates from GSMA Infocenter Inbox. Version Control and Parsing of RAEX compliant IR.21/IR.85. Manual conversion of non-RAEX documents (in pdf, word or excel format) to be done by RoamSmart Managed solutions team and full content to be available within 48 hours from document availability. 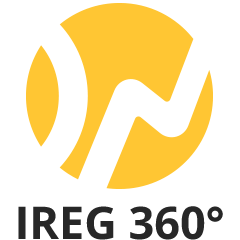 IREG360° makes all your partners RAEX compliant and creates xml IR.21 for those who send other formats. Changes detection and classification based on sub-section and target groups. Automatic notification to target departments/teams. Comprehensive reporting for better visibility.